The fiddle leaf fig tree - making a style statement with this superstar feature plant. The current trend for a large feature corner plant is something we love here at Fake It. The darling of the interior design press, a glossy green indoor specimen can deliver as much impact as any soft furnishing or statement lamp, often at a far cheaper cost. The Fiddle leaf - The supermodel of the plant world. A good place to start is a plant with a large architectural leaf. Bold foliage looks striking and fresh against a strong coloured wall and can deliver fabulous style when teamed with a large contemporary pot. 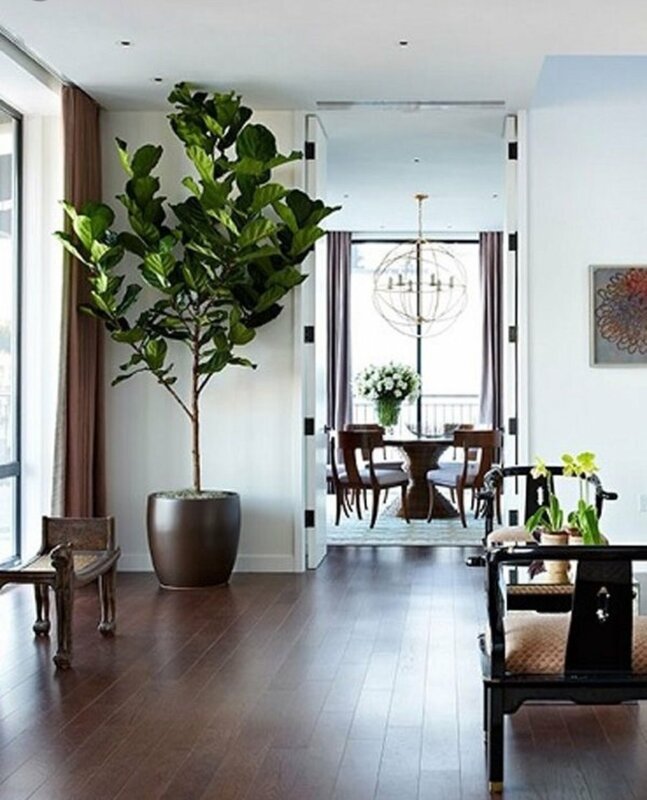 The current 'it' plant of the design world is the fiddle leaf ficus. It has a sculptural quality, thin trunk with big lush leaves which delivers the perfect balance of volume and structure. Upkeep - we hope you have green fingers?? Amazingly due to the popularity of the real fiddle leaf leaf plant most would believe that it is an easy, low maintenance specimen. Sadly this is not the case and the real trees are notoriously temperamental to keep alive and looking green and glossy. 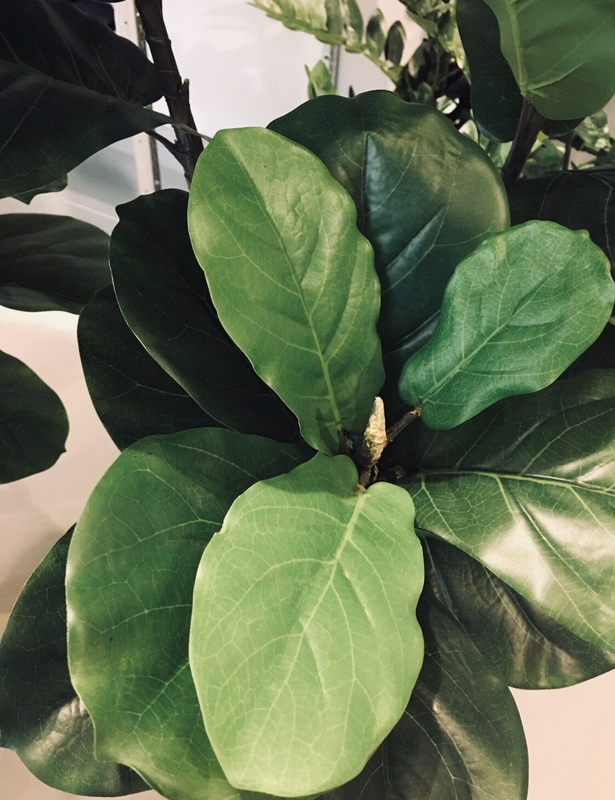 Due to the popularity of the fiddle, the Fake it team have worked hard to ensure our new Faux version perfectly replicates the real fiddle ficus, so we can deliver all of the style statement without any of the difficult upkeep. Detail of the new 'Fake It' fiddle ficus tree- the perfect tree free alternative. A stunning fiddle ficus makes a real style statement. Large leaf plants aren’t just for large rooms, they allow you to play around with scale in a smaller space. Popping just one of these lovely specimens in the corner of the room will immediately elevate it from unloved to modern and fresh. These gorgeous trees seems to work in all interiors from modern to granny chic and seem to magically transform any room. To see our beautiful faux fiddle trees, please do pop by the Fake It showroom to learn more about these green superspecimens.